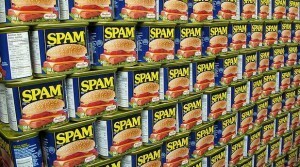 This is a great way to reduce spam and make sure you know who is spamming you. You know those situations where you’ve got a system in place with a few test accounts on it and each account requires a unique email address? You then spend ages creating lots of Gmail addresses or using every variation of your work email address until you run out. Well, no longer. There is a way you can use one Gmail address in many variations and still receive all the emails into the one mailbox. When you receive the email into your email account, it does show the original email address (the one with the +), so this should, although I haven’t tried it yet, make it possible to filter emails using an email rule. So if you know that your Twitter account uses the email address myemail+twitter@gmail.com, then you could automatically filter anything that comes into your email box using this address into a Twitter folder. This trick also means that you can set up multiple Twitter accounts with one email address. So, a useful way to create as many email addresses as possible and to manage your inbox, all with one little trick.